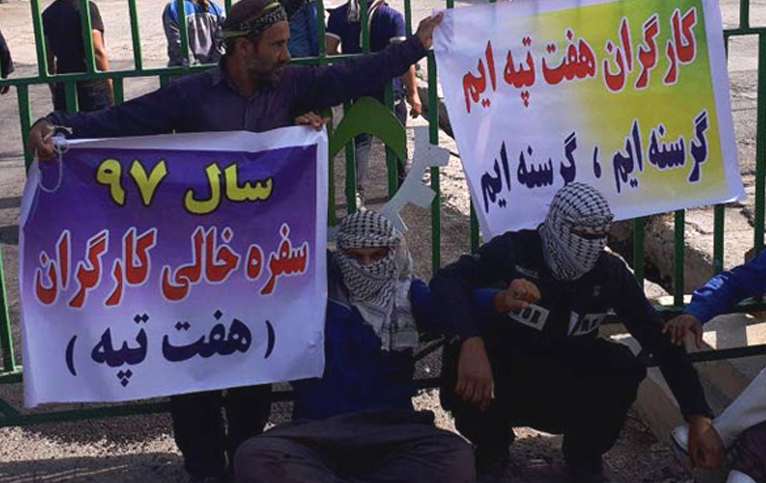 Right hand side banner: Workers of Haft Tapeh, We Are Starving! We Are Starving! One of the women workers' speeches  was another magnificent highlight of this demonstration. It not only represented the active participation of women workers in struggles, but also gave a true picture of the double oppression of women in today's Iran which has been presented differently by the mainstream media as a mere gender issue. 4. And we should not forget that the setting up of class wide-bodies like workers’ committees, cooperatives and above all soviets is not the end of the matter. There are plenty of examples in history where soviets have failed because they came to be dominated by reactionaries. The soviets are only the arena in which the fight for an entirely new way of doing things takes place. Alongside them the working class which is on its way to revolution has to forge an international and internationalist political party which encapsulates all the past lessons of working class struggle into a communist programme. It is with this that the party fights in the soviets or other class-wide bodies against all the forces which a dying mode of production will throw against the working class. Only in an intransigent fight against all aspects of capitalism will the proletariat succeed in shaking off the shackles of exploitation.